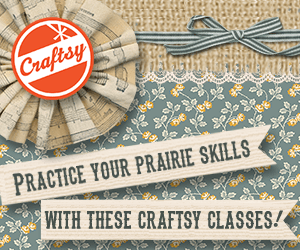 For Laura Ingalls Wilder fans, there is nothing quite like going to the scene of the story. 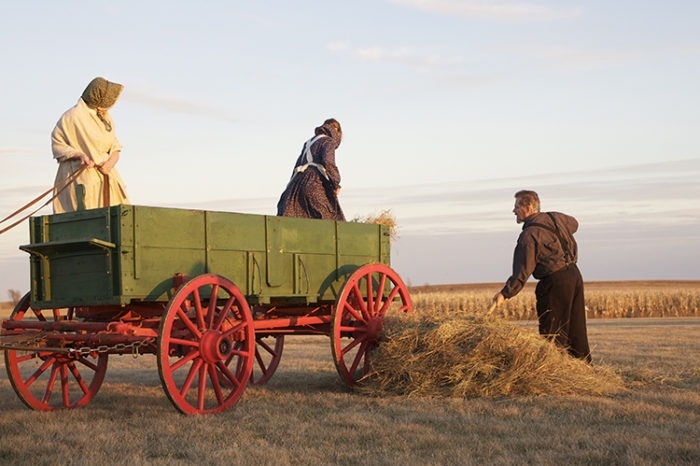 Every year—roughly May to October—thousands of fans descend upon the Midwestern spots the Ingalls family called home in Minnesota and South Dakota. 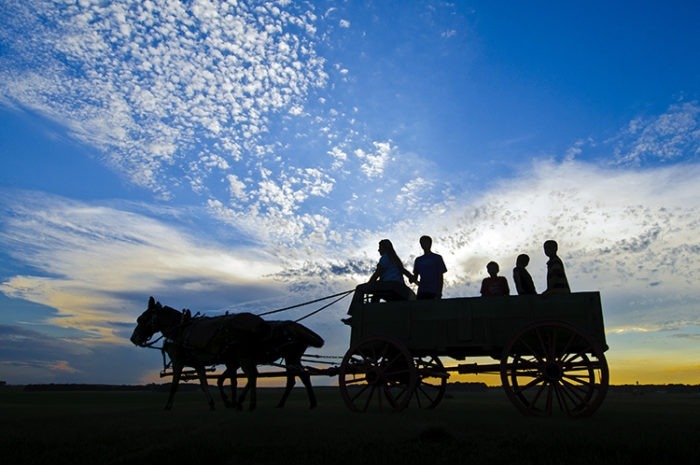 Crowds are thick, particularly in July, when local actors perform Little House-based pageants—outdoor plays—based on the Ingalls family’s life. The Wilder Pageant in Minnesota is presented west of Walnut Grove on the banks of Plum Creek. Laura narrates the story, reflecting on her life in Walnut Grove during the 1870s. Viewers gain a deeper understanding of the history surrounding her story, including the simple joys she appreciated and the hardships she overcame. Often special guests such as authors, scholars, or the original TV actors will make an appearance. The special guest appearances this year (2016) include Karen Grassle (“Ma Ingalls”), Charlotte Stewart (“Miss Beadle”) and author William Anderson. 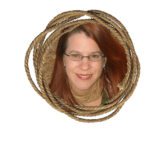 Stewart will be speaking about her new memoir Little House in the Hollywood Hills and Anderson about his most recent book The Selected Letters of Laura Ingalls Wilder. The Laura Ingalls Wilder Pageant in De Smet, South Dakota is also a long-standing tradition in the community. 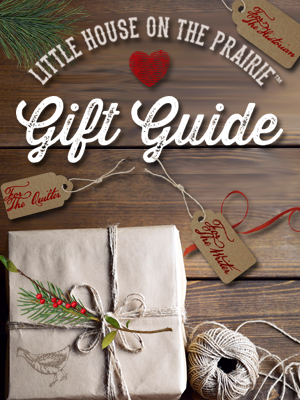 Local actors began performing Wilder’s book The Long Winter in 1955 and formally founded the Laura Ingalls Wilder Pageant Society in 1973 to preserve the family values and pioneering spirit of the Ingalls family. When you are watching this performance under the beautiful South Dakota sky, you truly feel as though you’ve stepped back in time. 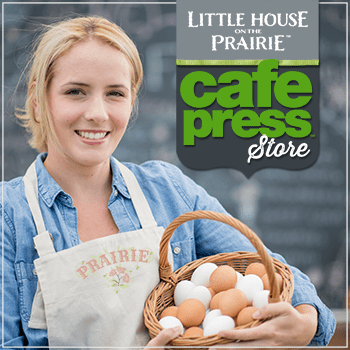 Several of the actors who participate in the pageant were featured in the documentary Little House on the Prairie: The Legacy of Laura Ingalls Wilder. 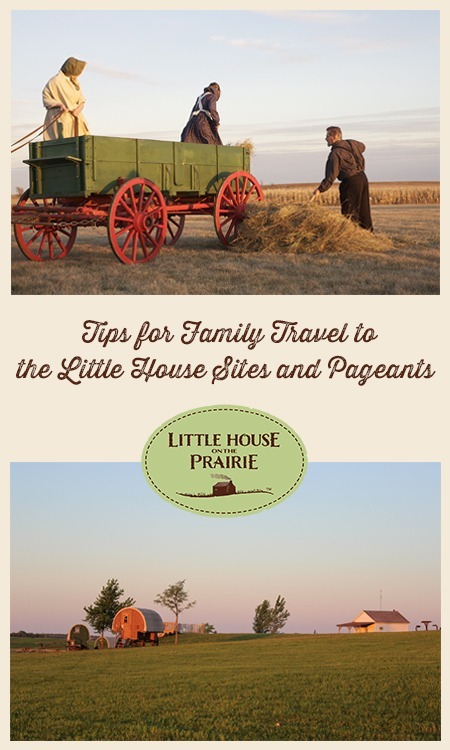 As a parent, traveler, and Laura Ingalls Wilder scholar, I’ve perfected the art of family travel to the Little House sites and put them into my LAND OF LAURA travel series (the De Smet edition is available on Kindle and in paperback). Here are some of my favorite tips for visiting these two sites and seeing their respective outdoor pageants. I wish someone had shared these with me when I first started venturing into Laura’s world. Plan in advance. Although the season is open from May-September, lodging can be tight, particularly in Walnut Grove, Minnesota. 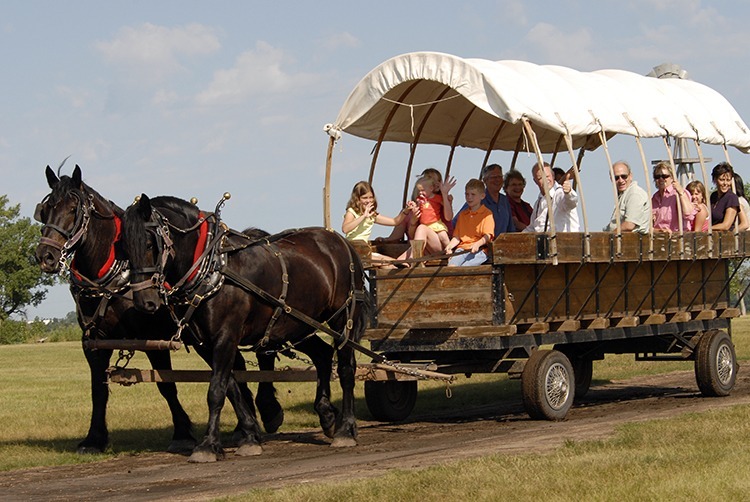 Both Walnut Grove and De Smet, South Dakota are extremely small towns, and competitive dates or times—like pageant weekends or scoring a night in a covered wagon on Ingalls Homestead in De Smet—can make a six-month lead time necessary. Know the difference between the pageants. The first time I saw the pageants, I saw them only one night apart. I was struck by how different Walnut Grove’s was from De Smet’s. Walnut Grove’s pageant is a professional production with an almost-40-year history that features reserved seating. The hillside amphitheater and seating arrangements were developed to allow for extensive lighting and high-quality sound. The 2016 ticket price is $17 but this can vary based on special guest appearances. The pageant in De Smet, South Dakota, which occurs on the same weekend as Walnut Grove’s, is a much more casual production with open seating and admission at $12 for adults and $8 for kids. Each is a very different experience, and each represents an enjoyable family evening. 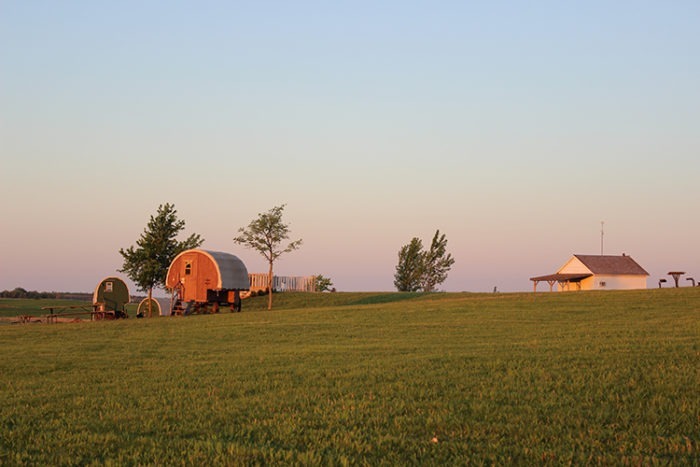 Camping Covered Wagons at Sunrise. Courtesy of The Ingalls Homestead. Bring bug repellent. In the land of Laura, the mosquitoes may not be causing rampant fever’n’ague, but they do come out at night in full force. Make sure you have both long sleeves and bug repellent to protect you from the onslaught, particularly if you’re attending a pageant since they take place after dark. Take note of grocery stores. Unless you want your kids to subsist on fast food, zero in on the location and hours of any grocery stores on your path. In this part of the Midwest, they can be few and far between, and hours are often limited. Bring cash. Have at least some cash on hand for those businesses that don’t accept credit cards. Check restaurant hours. There’s nothing worse than planning dinner out after a long day in the prairie sun and finding your preferred eatery closed. Keep in mind that it’s not always enough to know where you’d like to eat; make sure the place will be open when you’re there, and at the right time. (Many restaurants in this area of the country are closed on Sunday.) Moreover, restaurants in tourist destinations often change their hours with the seasons. Opt for an old-fashioned phone call versus a Google search; internet hours aren’t always current, and restaurants can change hands frequently. Remember the time change if driving west-east. It’s not uncommon to vacation in gorgeous western South Dakota (and for good reason) before heading east to the land of Laura. If you’re driving that way and neglect to consider the switch from Mountain to Central Time Zone halfway through the state, you’ll arrive an hour later than you planned. Watch speed limits. Again if you’re driving west to east, the speed limit drops once you hit Minnesota. Unless you want to add a speeding ticket to your vacation souvenirs, note the state line and adjust your speed accordingly. Consider skipping the pageants. One year, my daughter’s theater camp schedule prevented us from traveling in July, so that year we went in August, and mid-week. What we discovered was that avoiding the busy times can be a bonus. Lodging is more accessible, and skipping the draw of pageant season can mean the difference between wading in Plum Creek with a crowd and having it all to yourself. Bring a paper map. 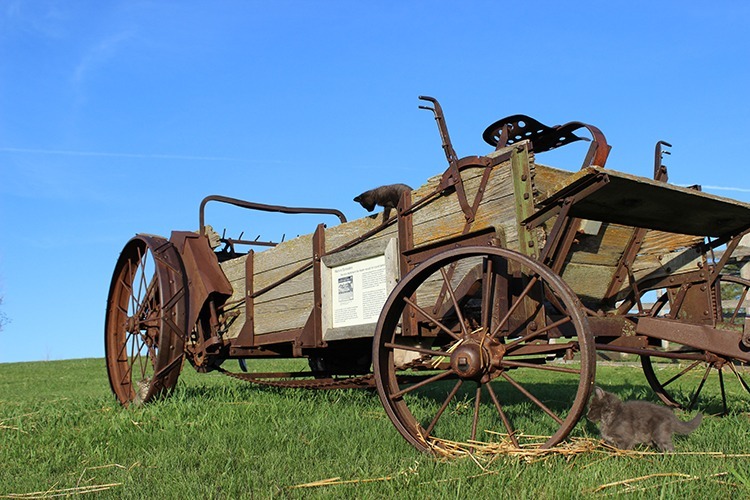 GPS apps or devices aren’t always on speaking terms with prairie towns in the upper Midwest. A physical paper map—even one simply printed from the internet—can be a godsend. Dress for a drop in temperature. The days may be hot in the land of Laura, but the nights can be quite cool. Having sweatshirts and light jackets on hand can keep little ones from complaining of cold (especially during pageants). If De Smet is your primary destination, you can see my suggested itinerary here and order the complete travel guide for detailed information. The travel guide includes information about lodging, food and dining, transportation, and several sample itineraries. 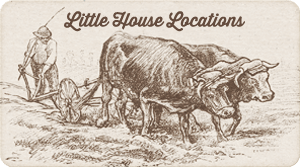 For more information about all of the Little House locations, check out this comprehensive article. Be sure to subscribe to the newsletter for updates about events. I love the family values this show taught, i will never get enough of little house on the prarie. 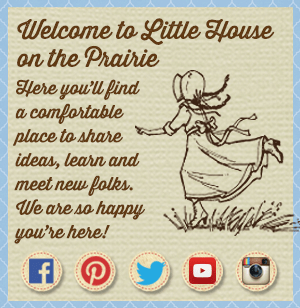 I adore Little House on the Prairie ~ I have all the DVD’s and have watched it all several times. They are currently running 2 episodes a day on True Entertainment channel here in the UK at moment and I am loving every minute of watching them all again ~ we are presently at the time when Laura is expecting her baby, so quite a way through now! I save them all up and binge watch them all at the weekend 10 episodes at a time! I have read all the books too and just thoroughly hooked on it all!